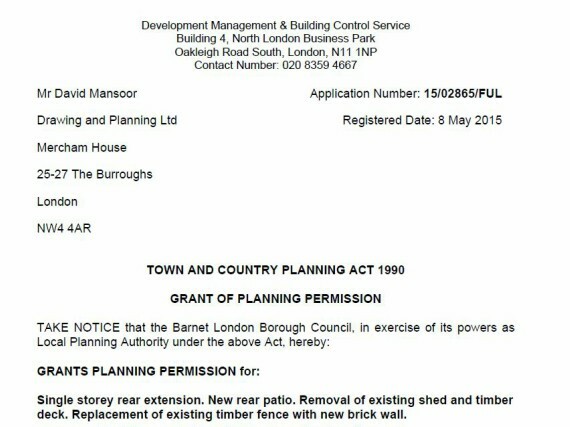 Drawing and Planning have successfully secured a Planning Permission for single storey rear extension. New rear patio. Removal of existing shed and timber deck. Replacement of existing timber fence with new brick wall. PROJECT Single storey rear extension. New rear patio. Removal of existing shed and timber deck. Replacement of existing timber fence with new brick wall.